What a disaster! Normally, when one critiques a historical movie, it's always fun to point out the inaccuracies that slip in, usually added by the writers to create more "dramatic" situations. However, "Imperium: Nerone" is a whole 'nuther kind of animal. 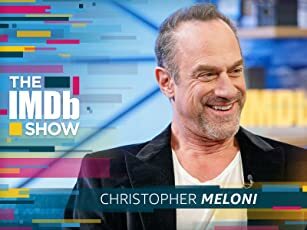 In this movie you strain to find ANYTHING at all that is confirmed by the historical record amidst the farrago of nonsense and fiction presented as the life of Rome's bad-boy artist-emperor. And it's a pity, because Nero is one of the most fascinating of all the Roman emperors. His life was filled with enough tumultuous events and interesting people to make a really good movie. The producers of this mess chose another route, which leads only to head-scratching on the part of any informed viewer. 1. 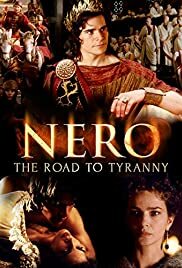 Nero is depicted as an 6-8 year old boy when Caligula has his father killed for treason, exiles his mother Agrippina, and sends the boy to be raised by slaves in the countryside. "Ten years later," the story resumes just before the assassination of Caligula. Facts: Nero was born about six months after Caligula began his four year reign, and was only three when he was assassinated; Nero's father died of natural causes; Agrippina was briefly exiled for bad behavior, not treason; and Nero was not raised among slaves, but had the typical upbringing of a young member of the imperial family. 2. Okay, according to the writers, Nero is now about 16 when his great uncle Claudius becomes emperor (in fact he was about to turn 4); Agrippina engineers the downfall of the empress Messalina and marries Claudius, who adopts Nero. Then he goes off to conquer Britain, and is poisoned by Agrippina soon after his victorious return. Nero is declared emperor, although he's still perhaps only 18 or 19 years old. Fact: Claudius conquered Britain in 43 A.D., two years after beginning his reign. He lived until 54 A.D. Nero should have been 31 years old by then by any normal chronology, but in fact succeeded to the throne at age 16. History tells us that there then followed the "Five Good Years," where Nero ruled wisely and well under the tutelage of the philosopher Seneca and the Praetorian commander Burrus. This is shown -- sort of -- except that portraying the Roman Senate as opposing Nero's good measures is false. Senatorial opposition to Nero only commenced when he started to show signs of insanity and began killing Senators for real or imagined treason. 3. Nero's mother Agrippina is the controlling sort, who murdered her uncle-husband to make her son emperor. After a while, Nero tires of her meddling and decides to kill her. In the movie, he sends his henchman Tigellinus to stab her to death. All true enough, but the reality was so much better! Agrippina was a survivor, and didn't go easily. Nero tried three times to poison her, but as an old poisoner herself she was savvy to all that, and he failed. Then he tried to crush her to death by collapsing the ceiling of her bedchamber, but that also failed. Next, he sent her on a voyage on a ship that was deliberately constructed to fall apart and sink; as it went down, she jumped into the sea and swam to shore. Finally, he had her stabbed to death. Now showing all THAT would have definitely improved this movie! Other errors abound: Nero's lover Acte was not a childhood slave-friend, she never repudiated him, and there is no evidence that she became a Christian. Nero did not commit suicide by slitting his wrists while sitting beside a lake. Etc. etc. etc. The sources for Nero's life are primarily the Roman historians Tacitus and Suetonius, both of whom were of the senatorial class hostile to him and his memory. 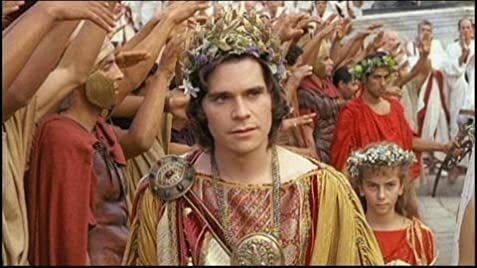 But the evidence indicates that he remained very popular with the common people, unlike one of the final scenes where he is pelted by the mob with vegetables as he leaves the city to commit suicide. WHY did the writers and producers take an inherently interesting story with plenty of good stuff for any movie, and make THIS piece of crap? Oh, and did I mention how cheesy the sets and costumes were? Lol. One star, because there's no way to rate it lower.